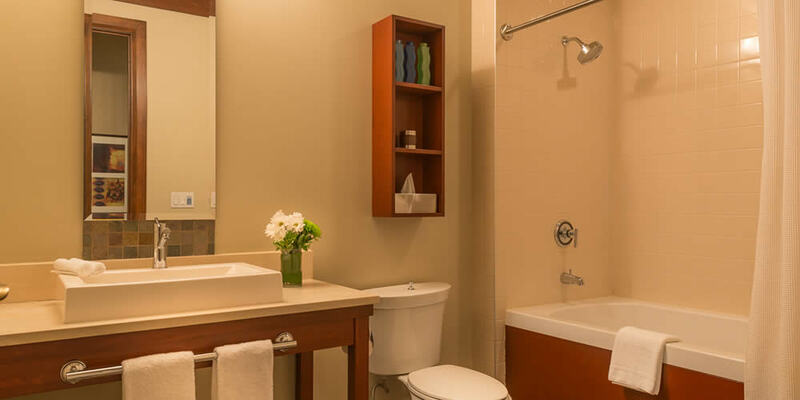 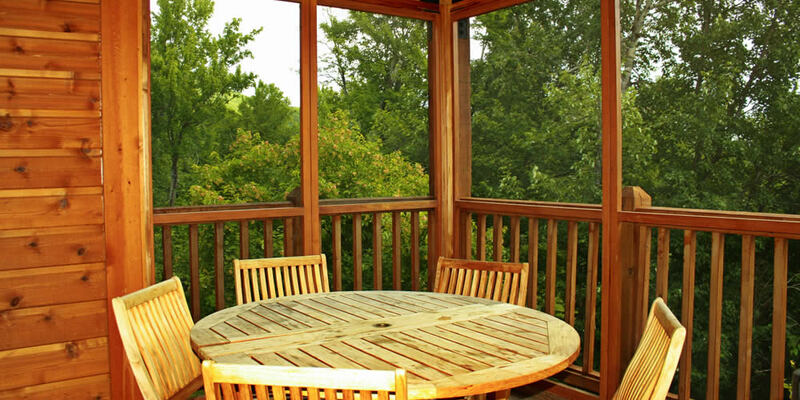 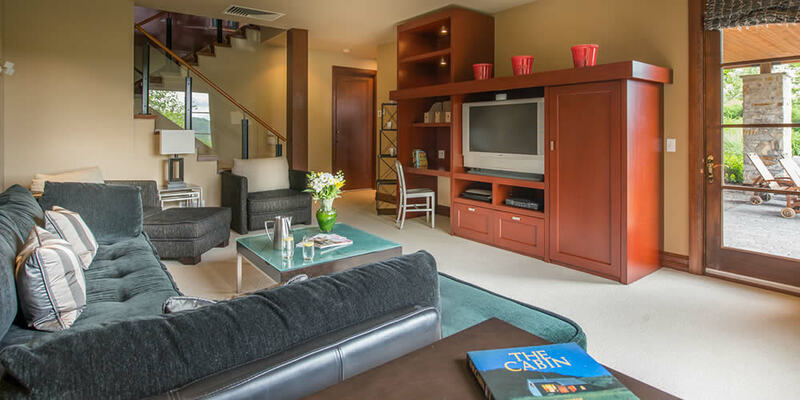 The luxurious and spacious 4-bedroom vacation homes Elysium @ Légendes have everything to please you. 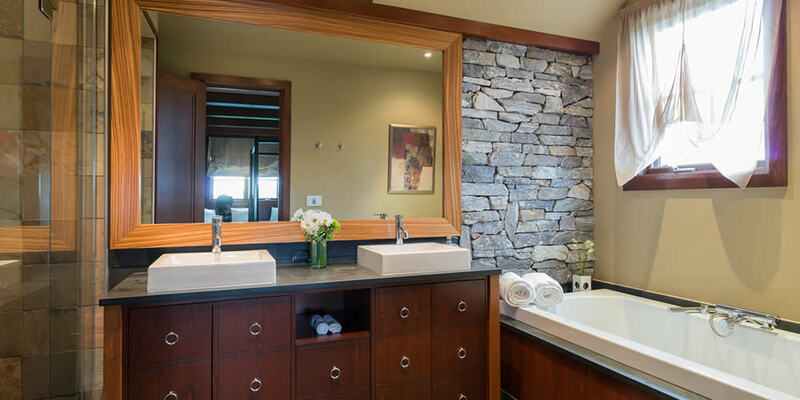 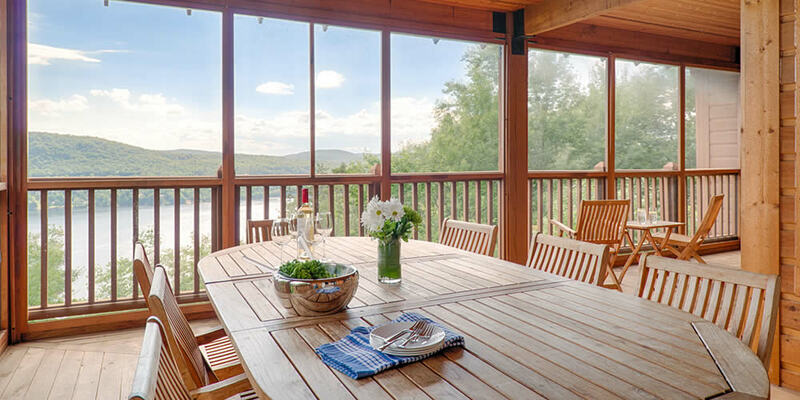 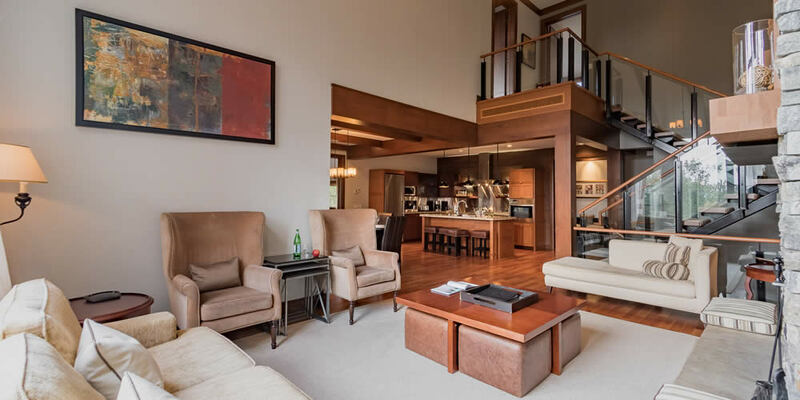 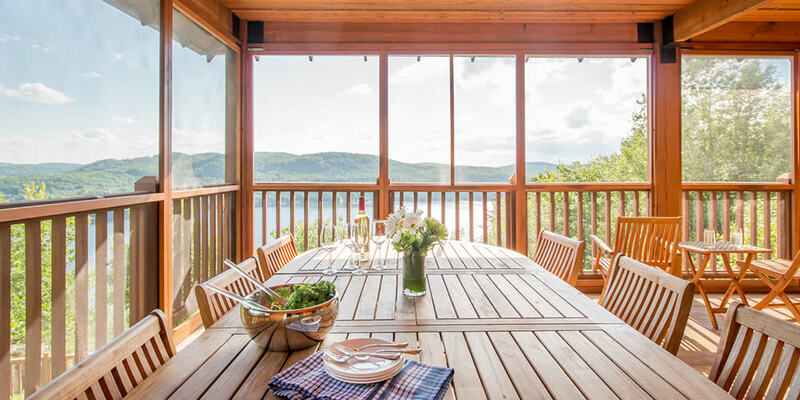 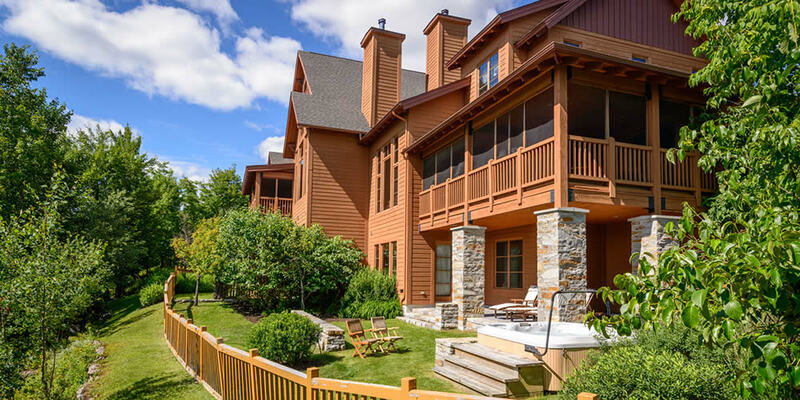 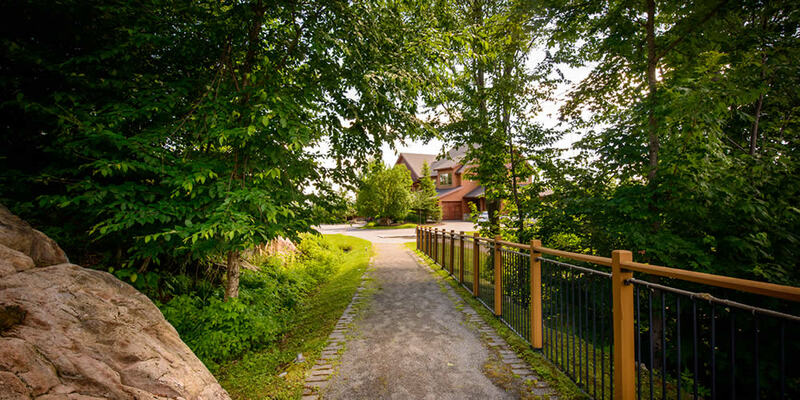 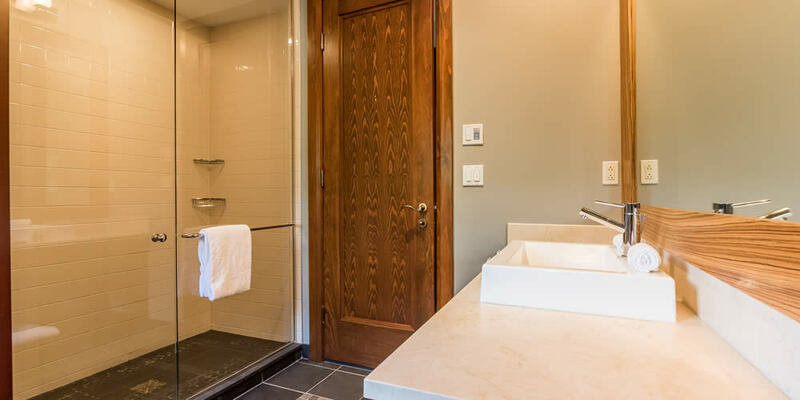 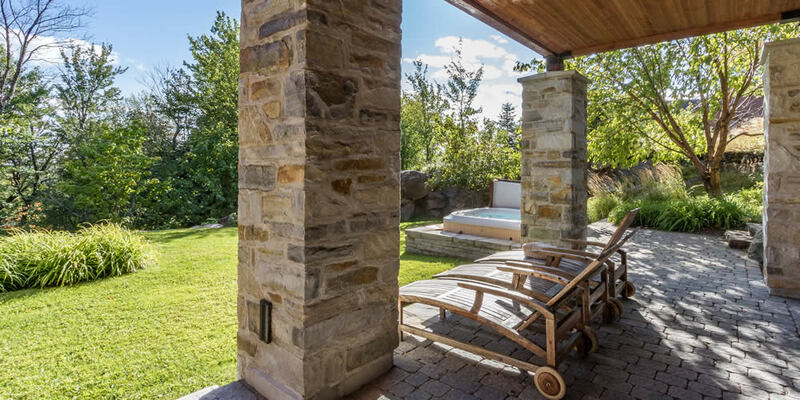 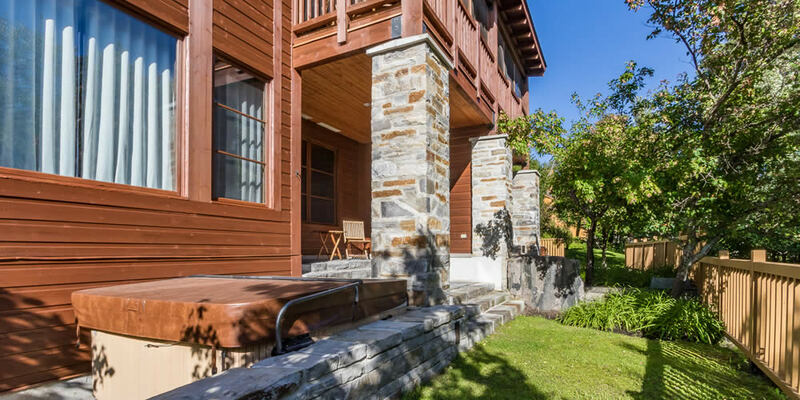 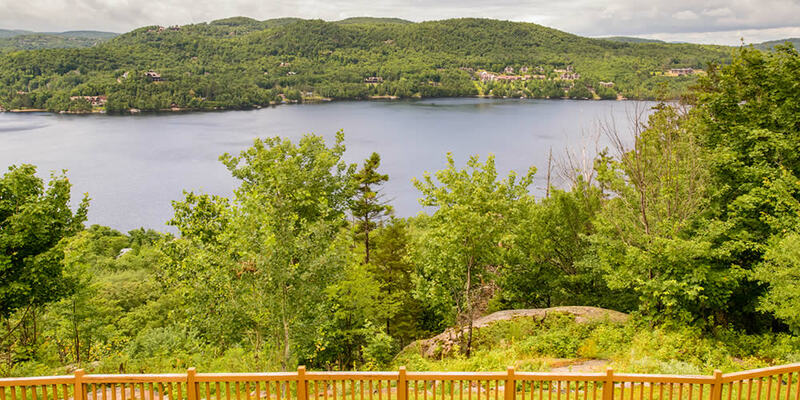 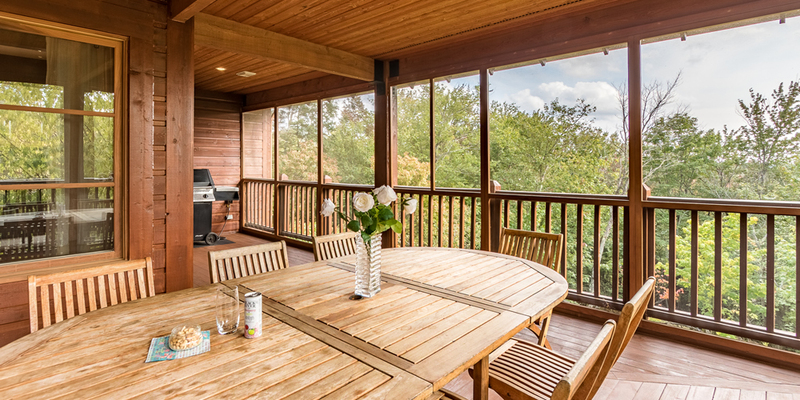 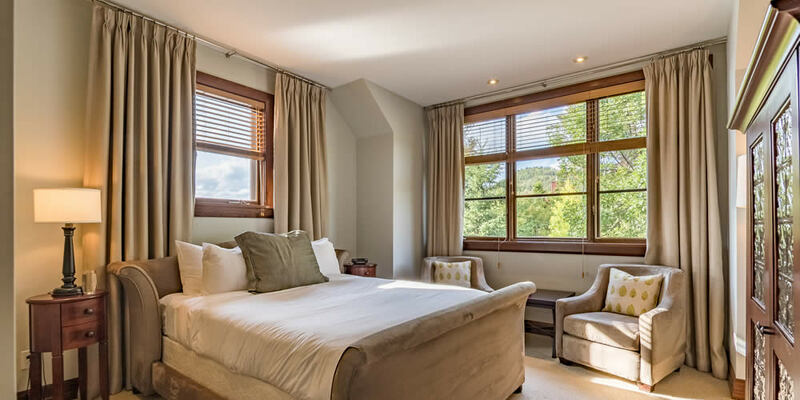 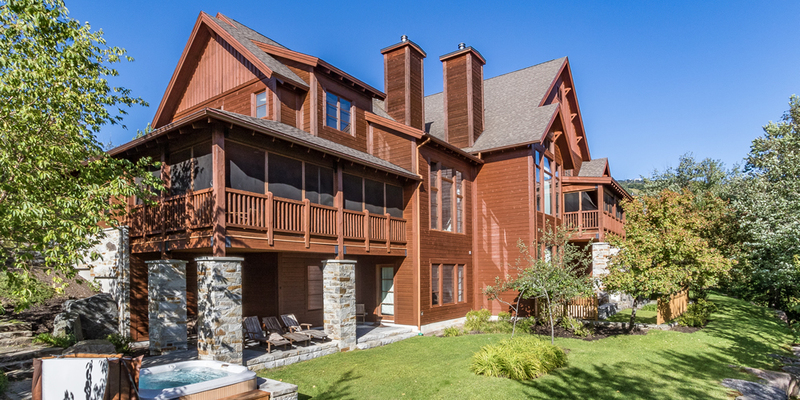 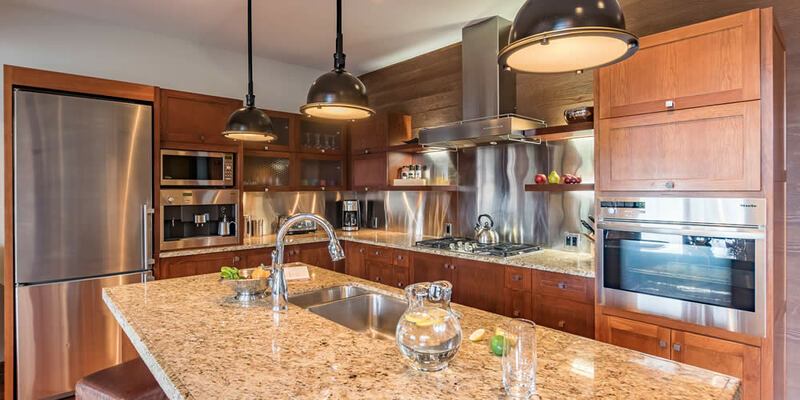 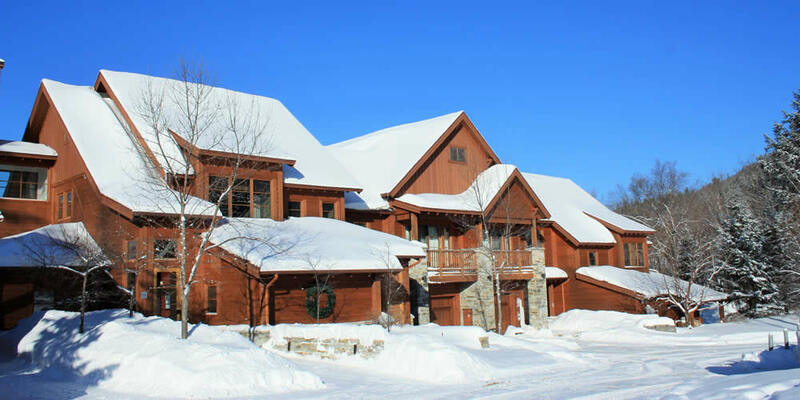 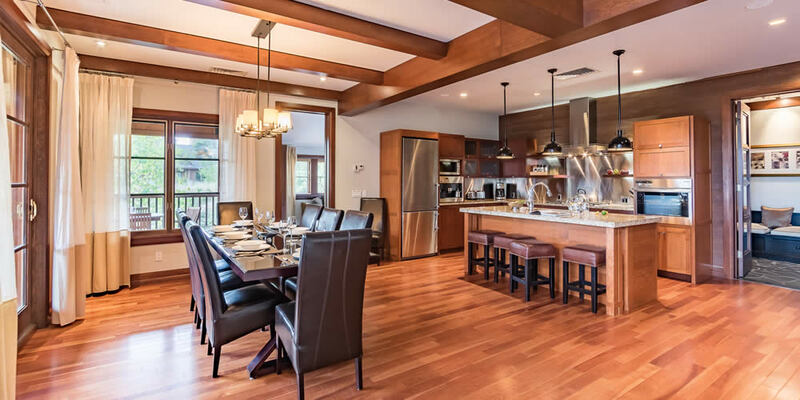 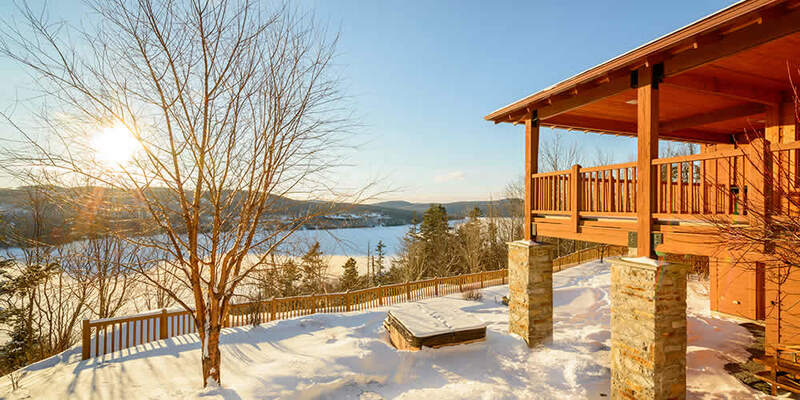 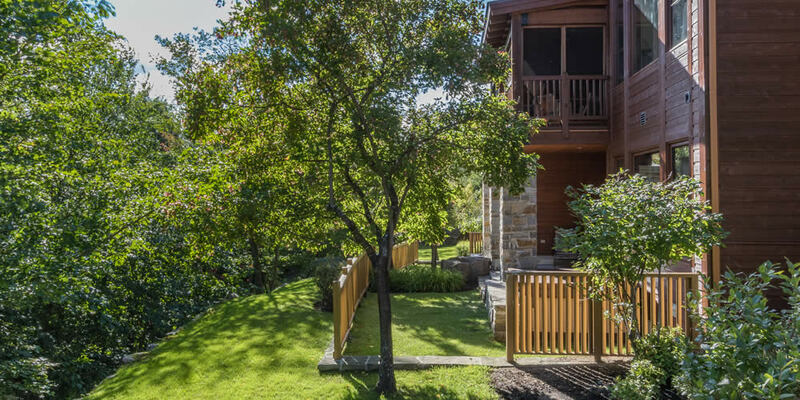 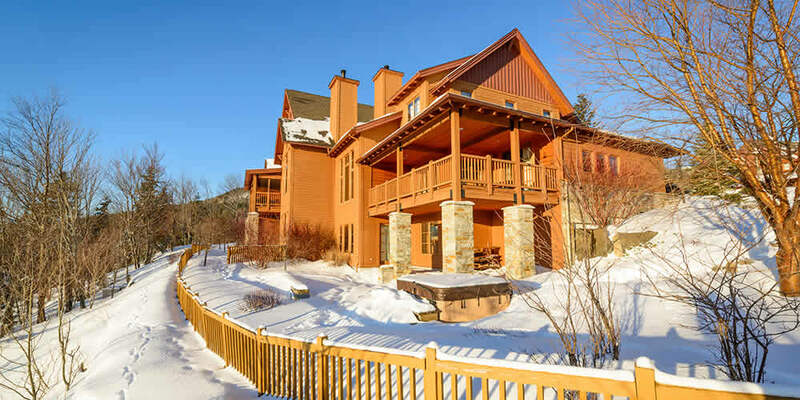 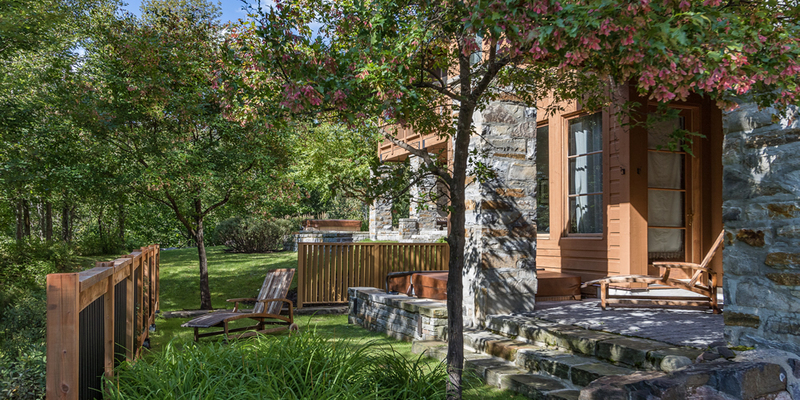 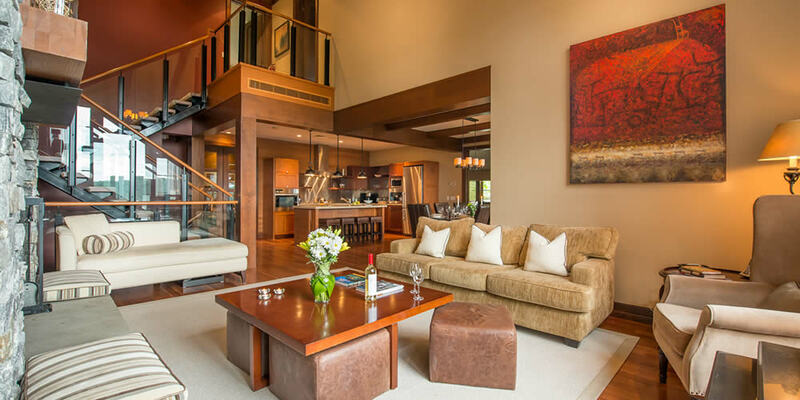 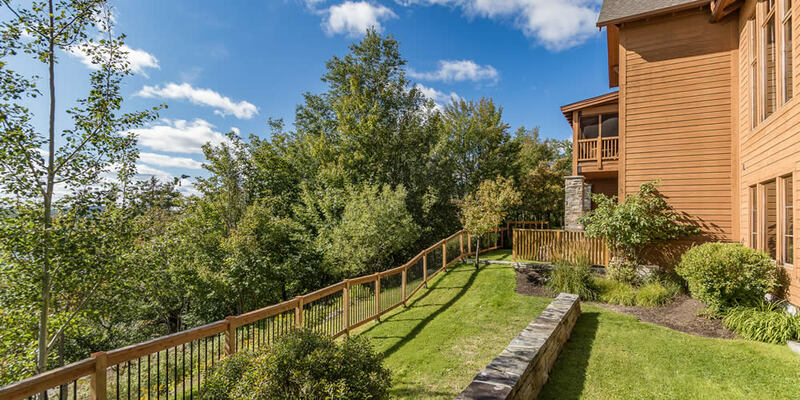 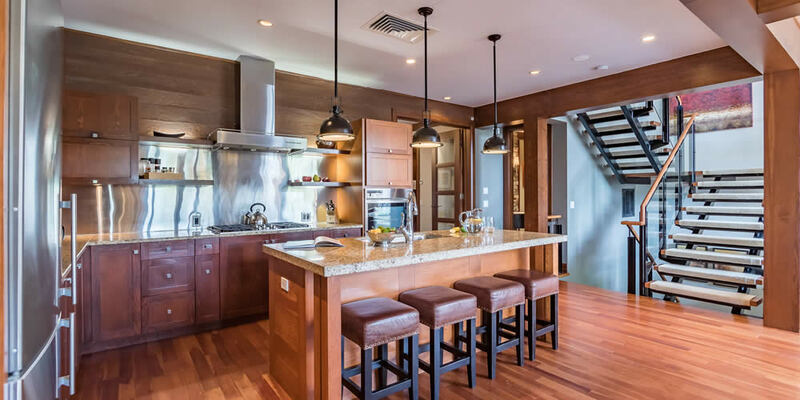 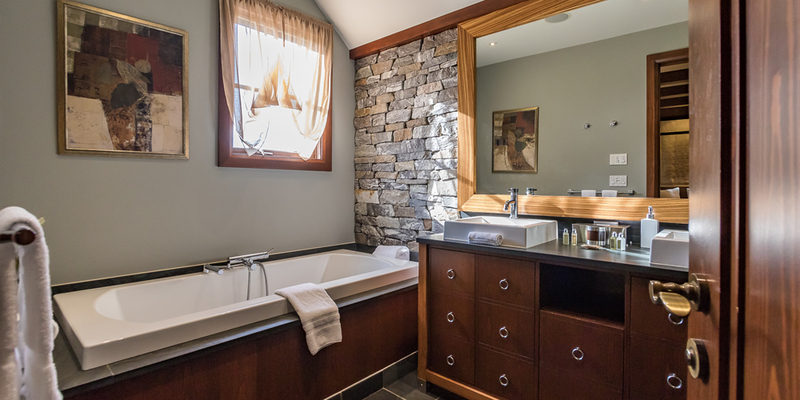 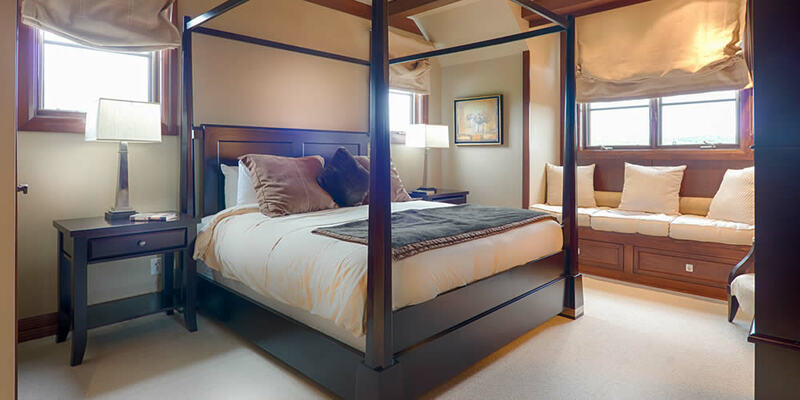 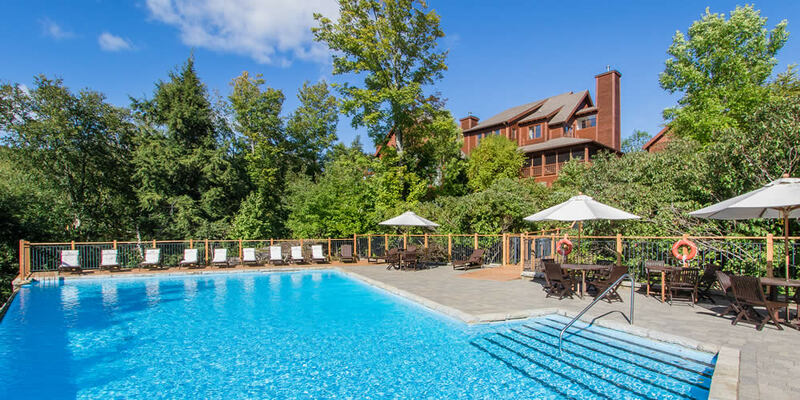 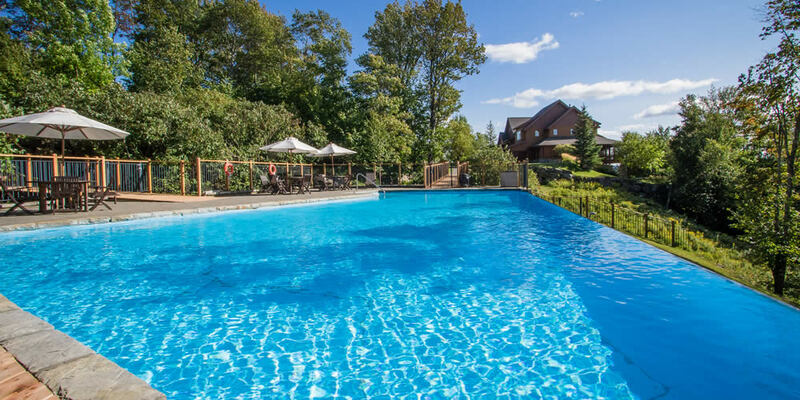 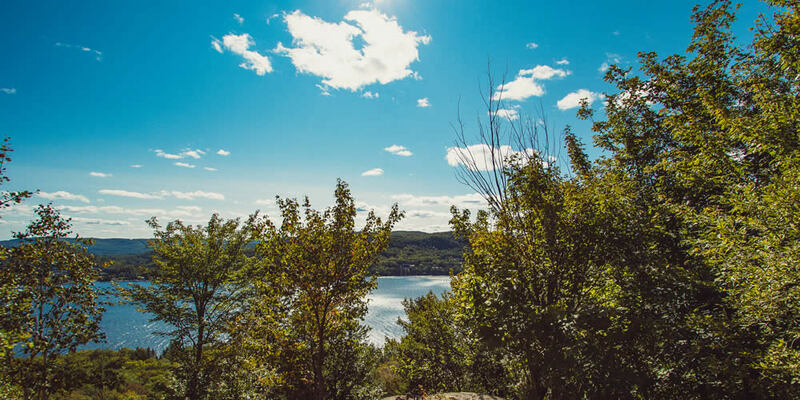 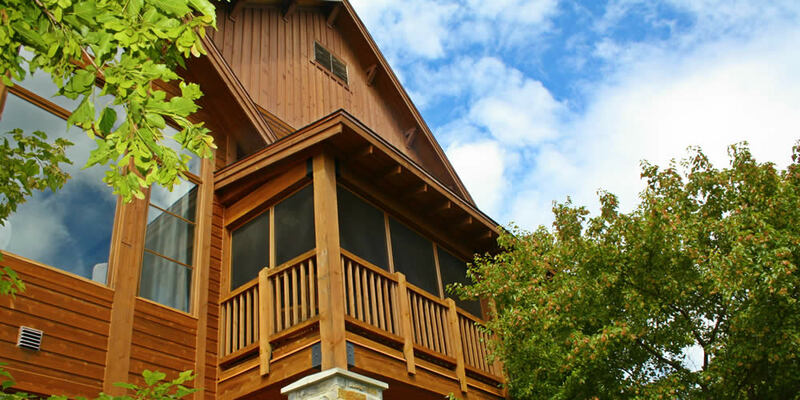 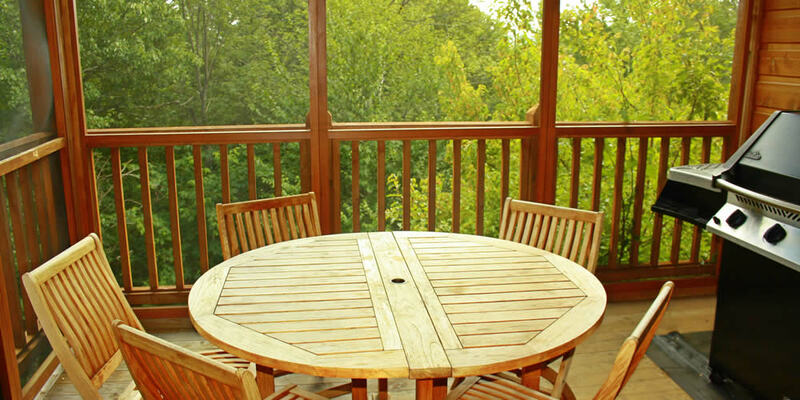 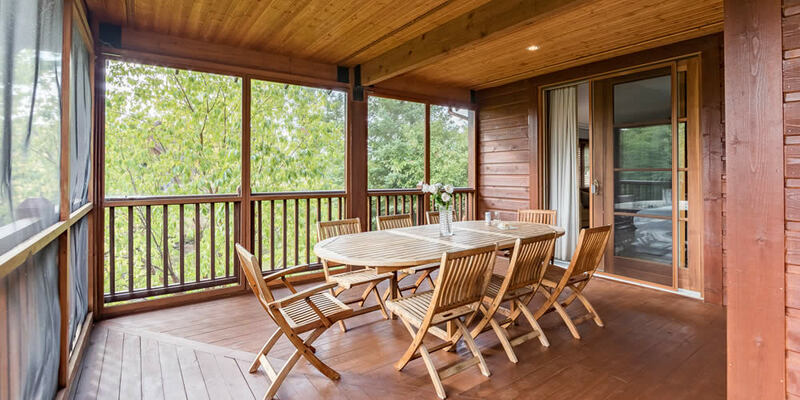 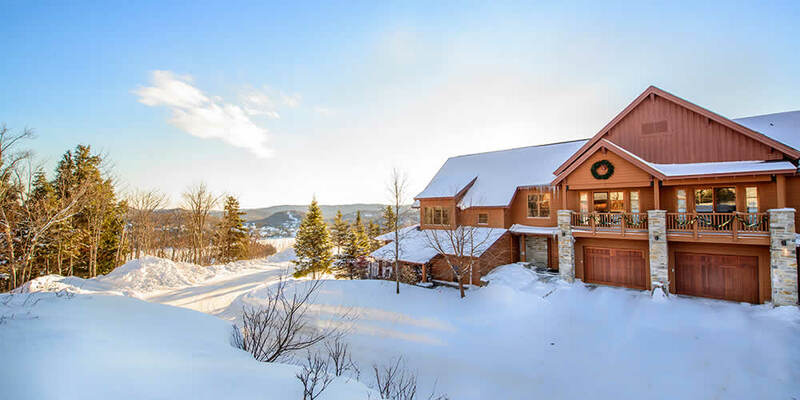 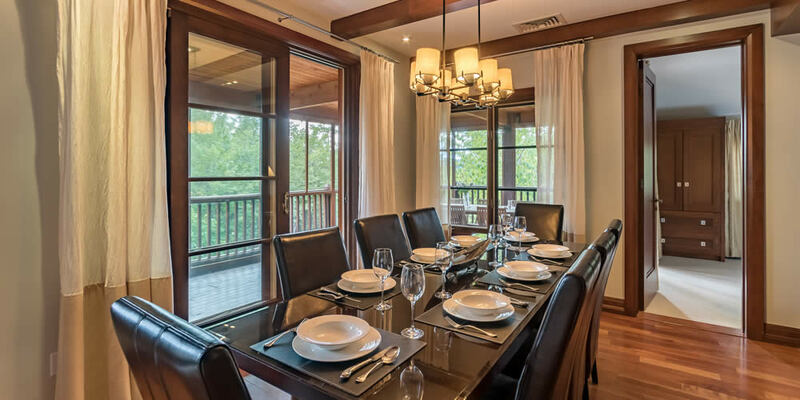 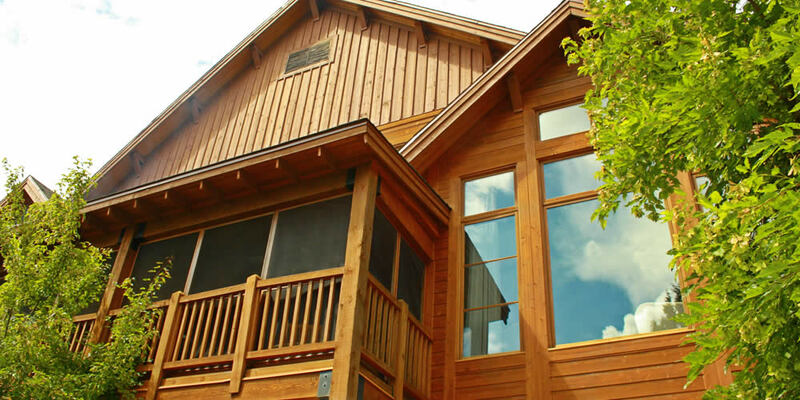 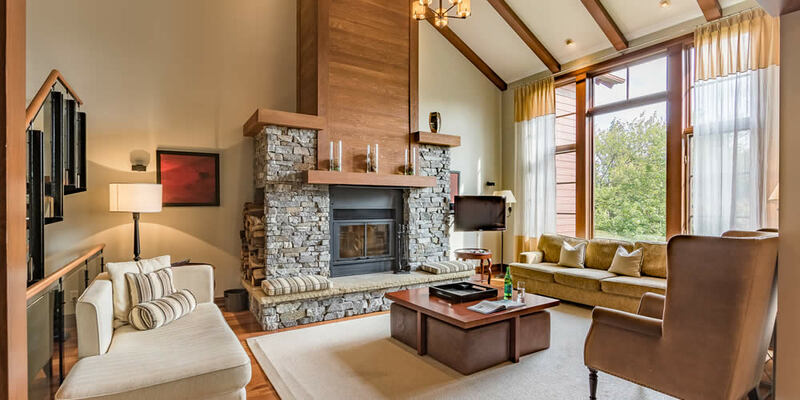 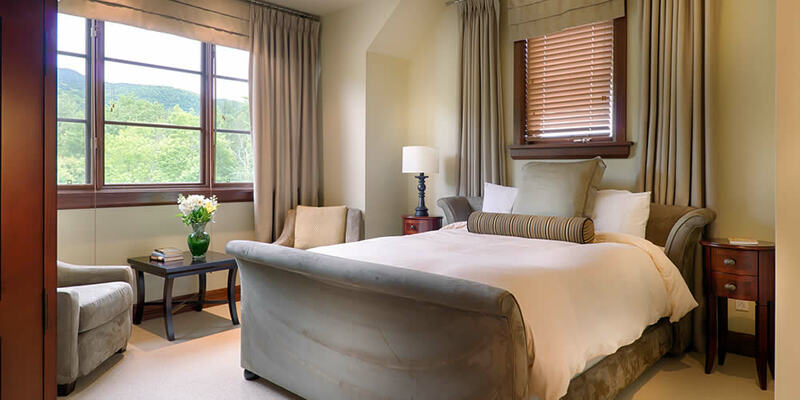 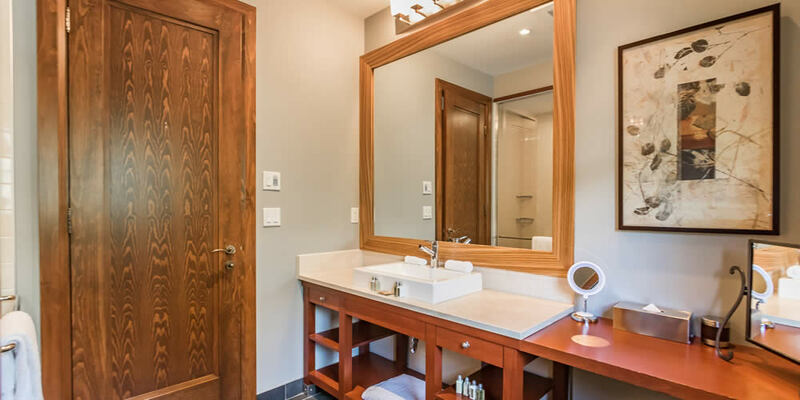 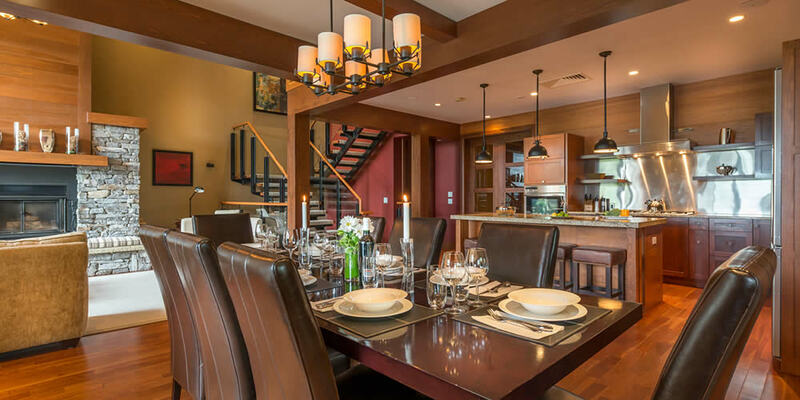 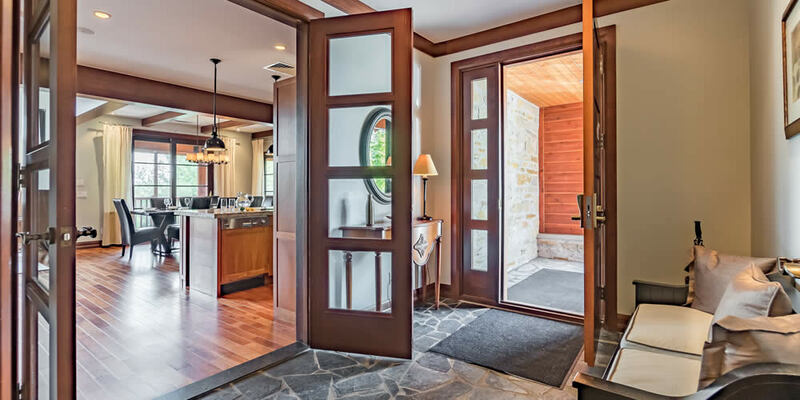 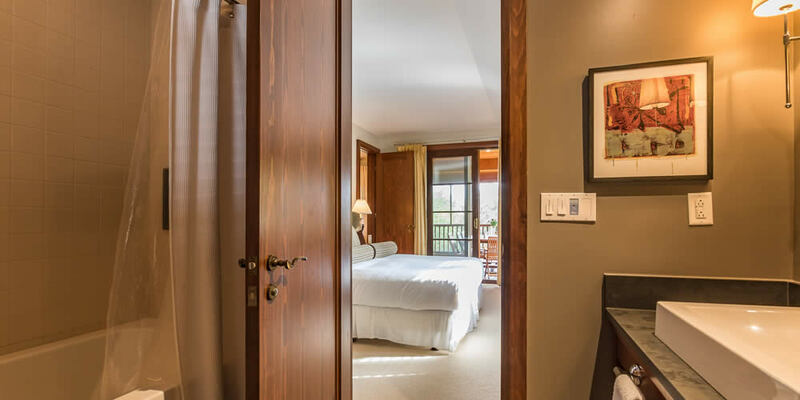 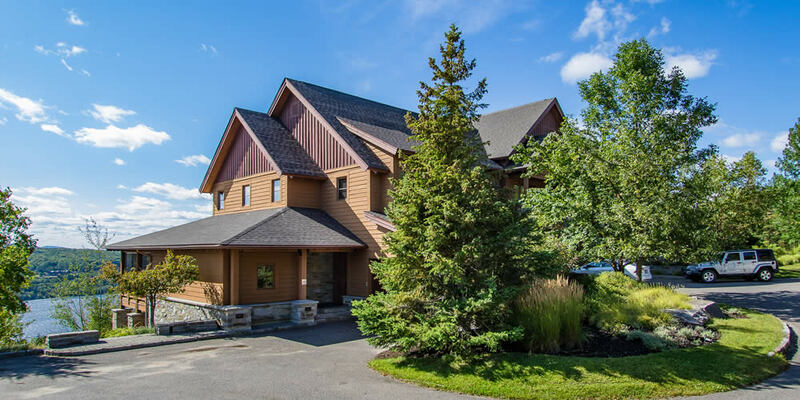 Located on the mountainside of the forested Domaine Nansen, home to some of the most prestigious domiciles in Tremblant, the exclusive Les Légendes residences are in a class of their own. 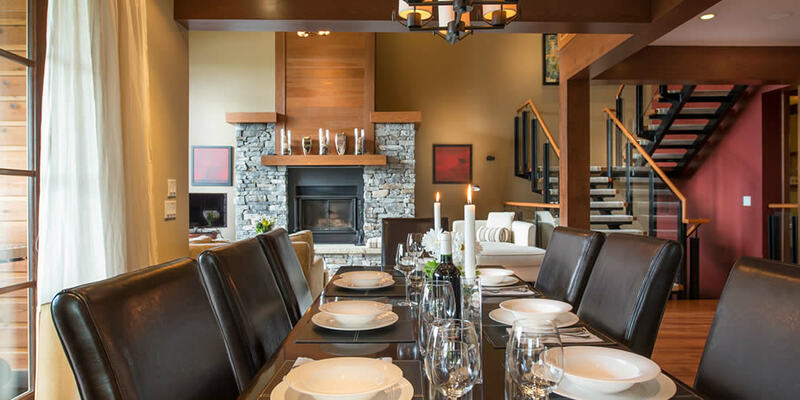 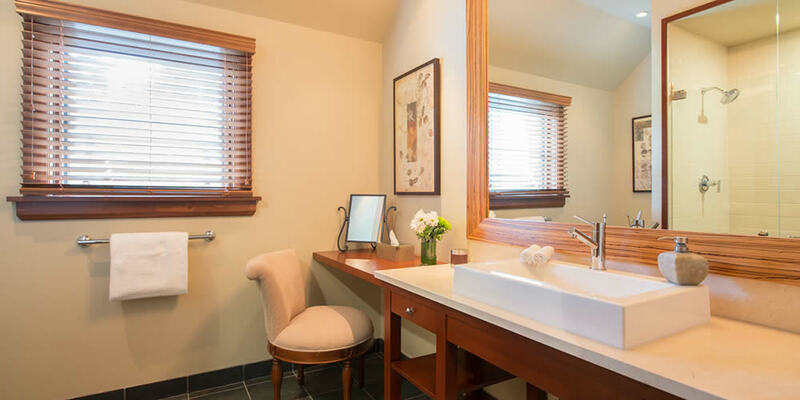 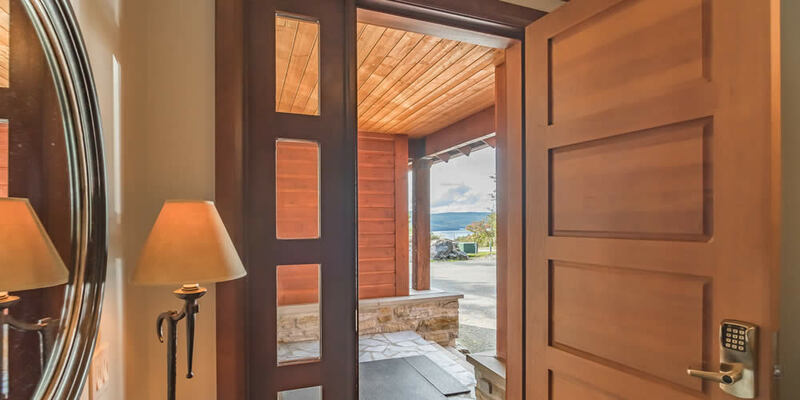 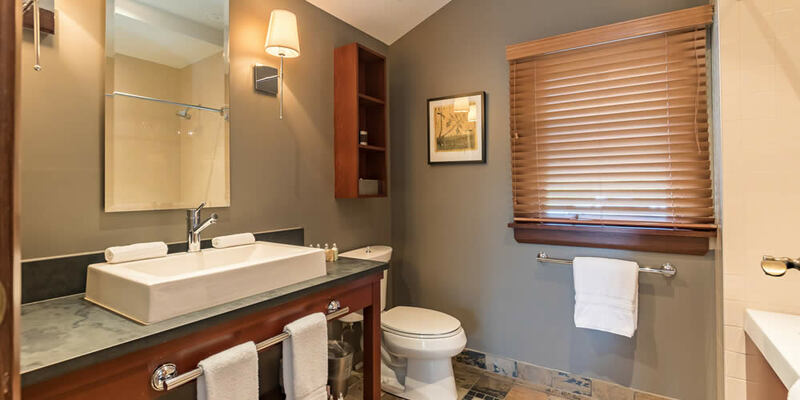 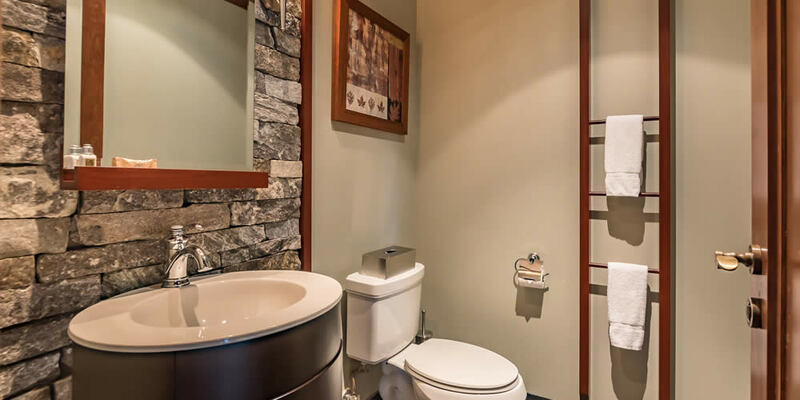 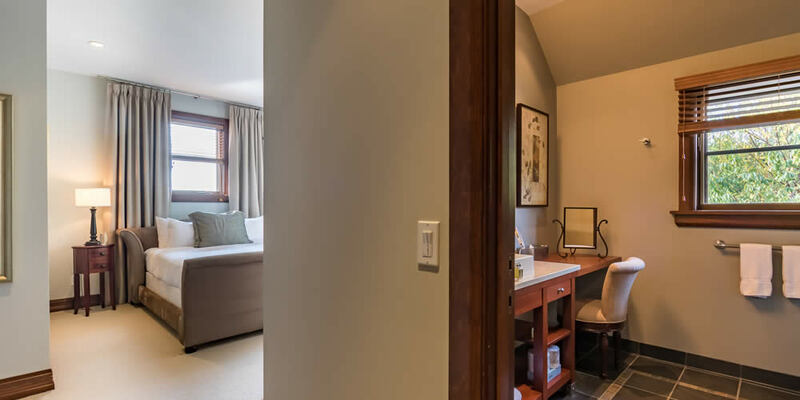 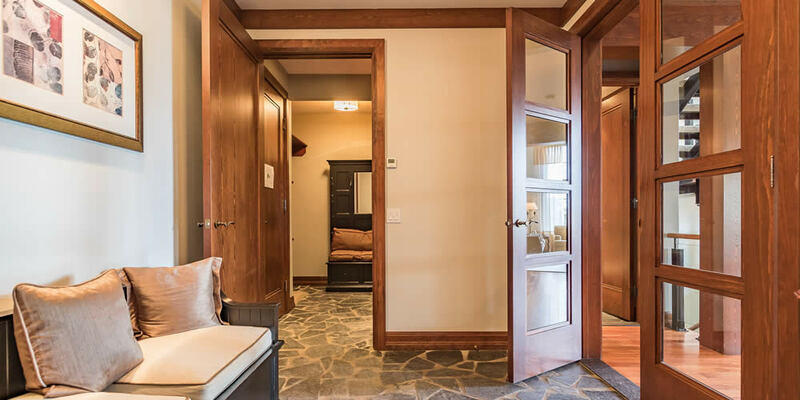 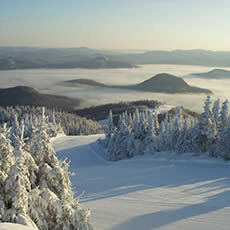 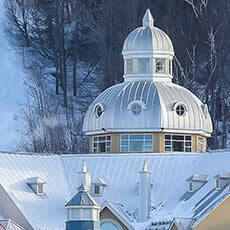 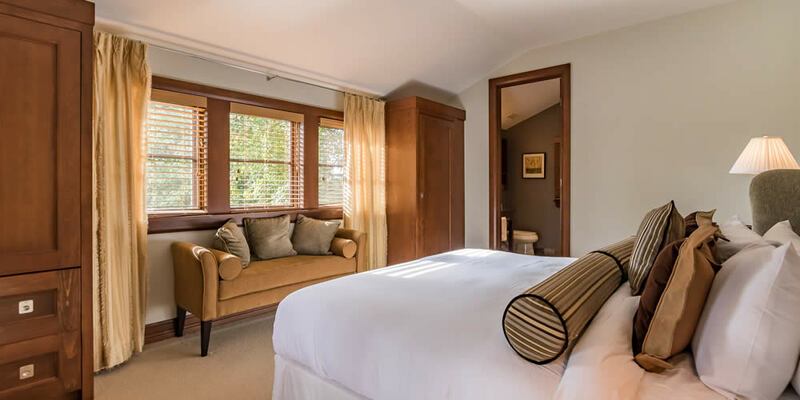 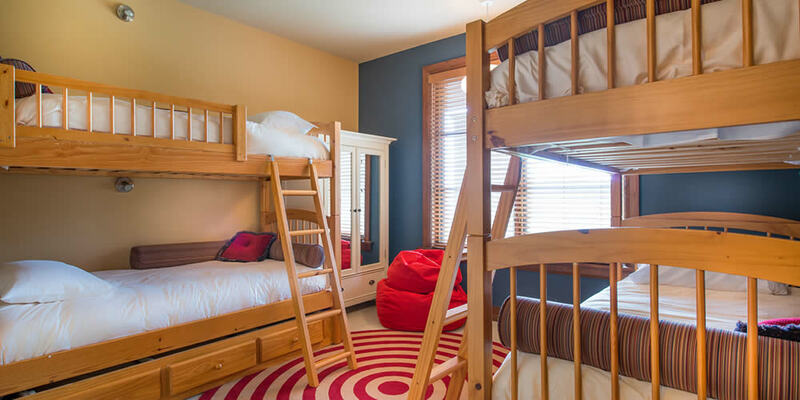 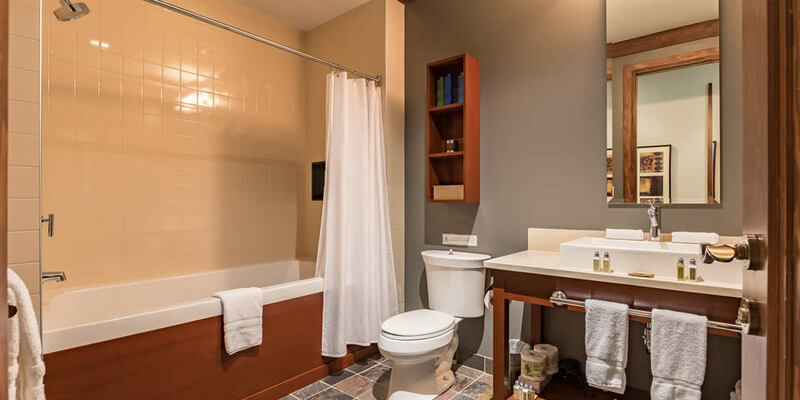 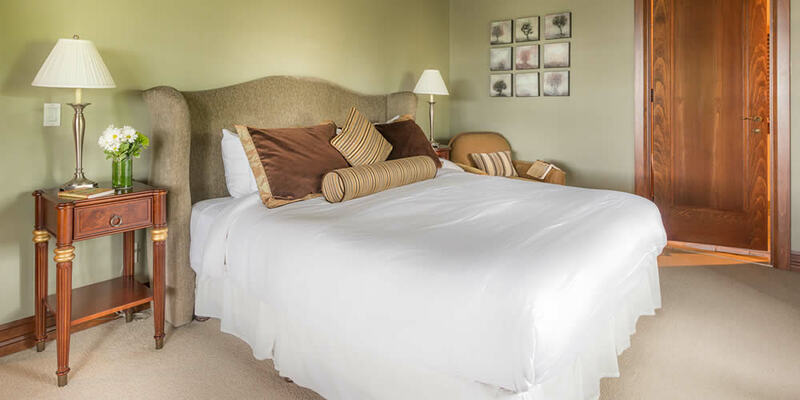 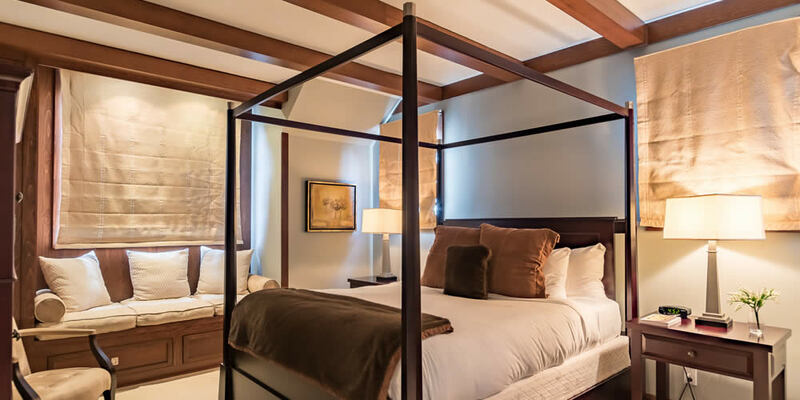 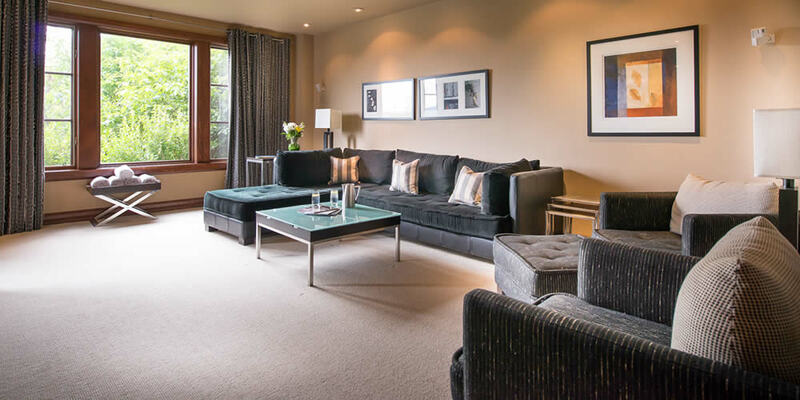 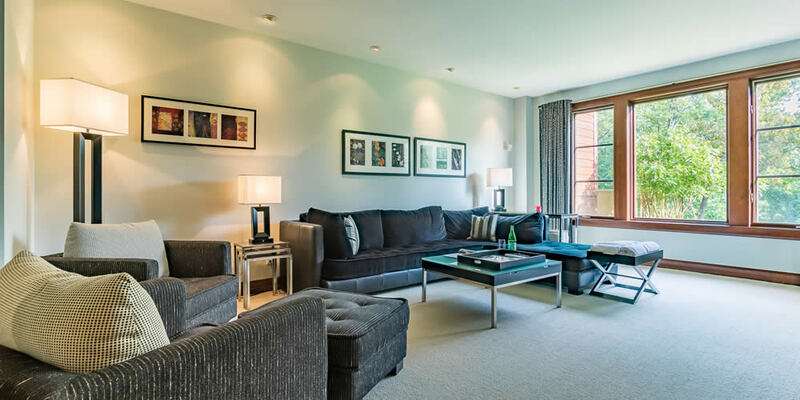 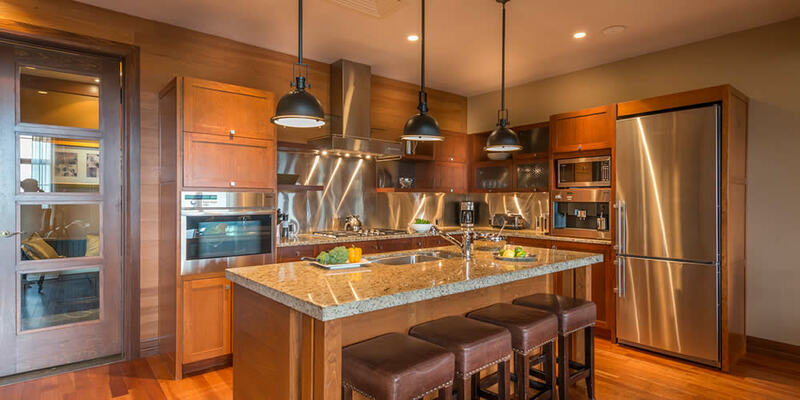 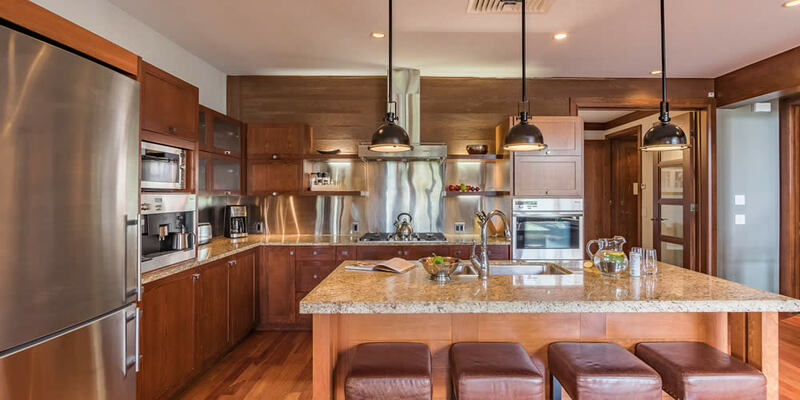 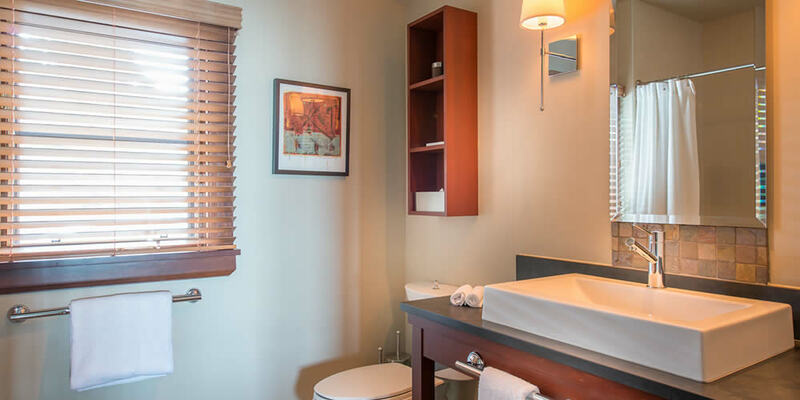 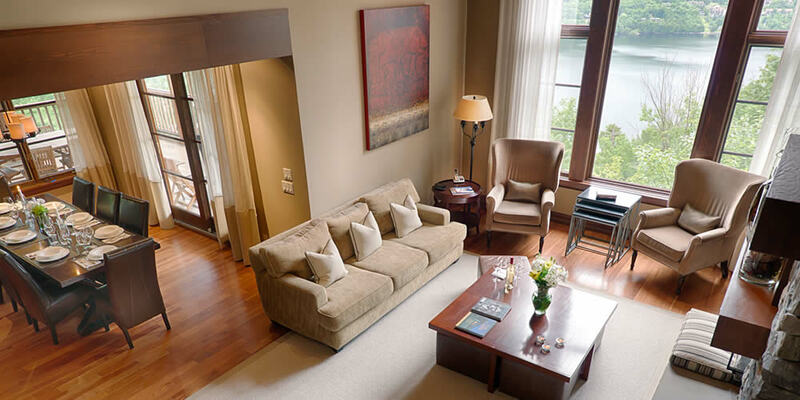 The harmonious architecture, the tastefully-appointed and fully furnished interiors, the easy access to the slopes, the trails and the pedestrian village, the beauty of the surrounding nature and views, the Tremblant Elysium exclusive service...there is so much to enjoy. 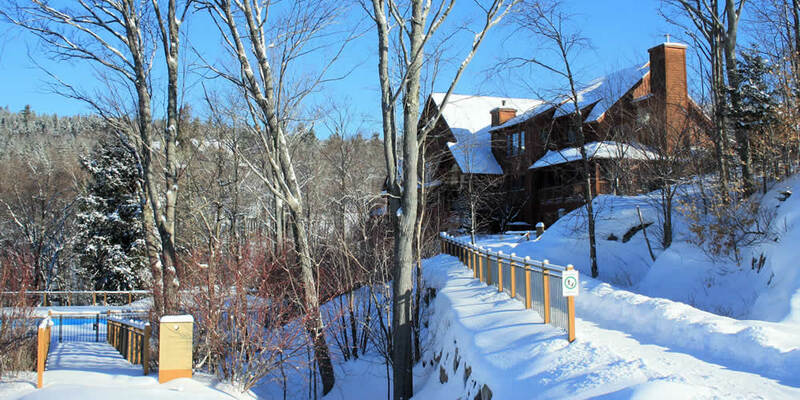 Even the deer have made it their retreat! 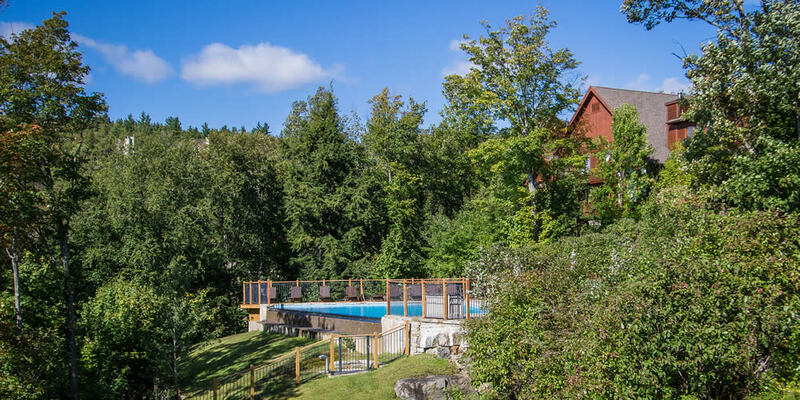 Built on three floors and 3000 sq feet of space on average, the Elysium @ Légendes homes are a unique place to escape and enjoy a memorable vacation with family and friends. 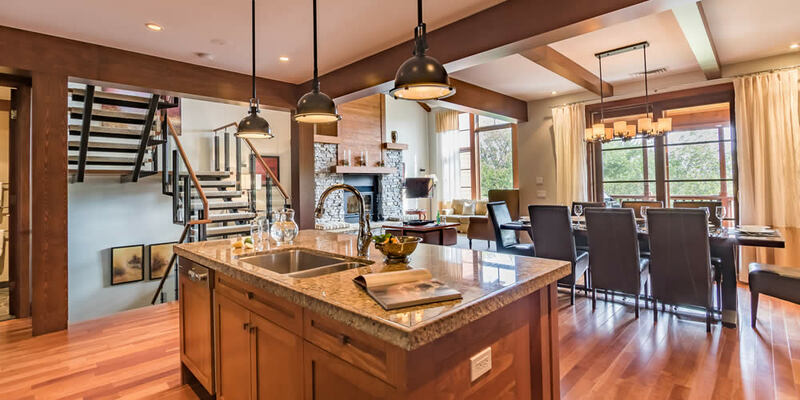 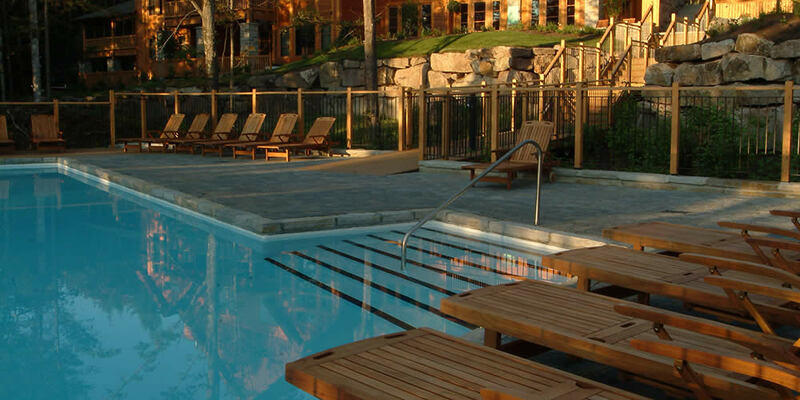 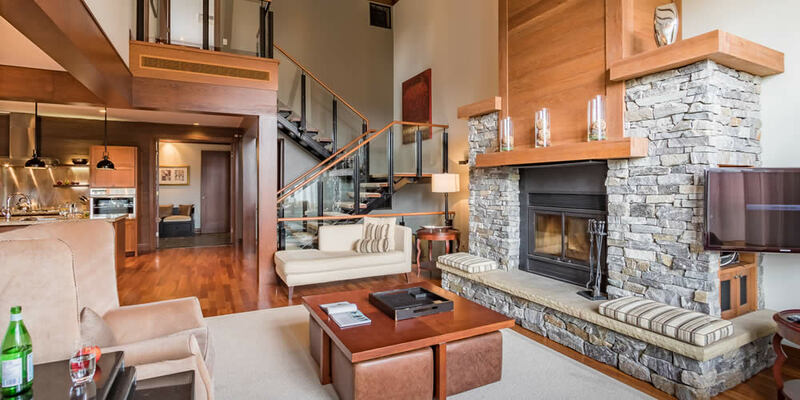 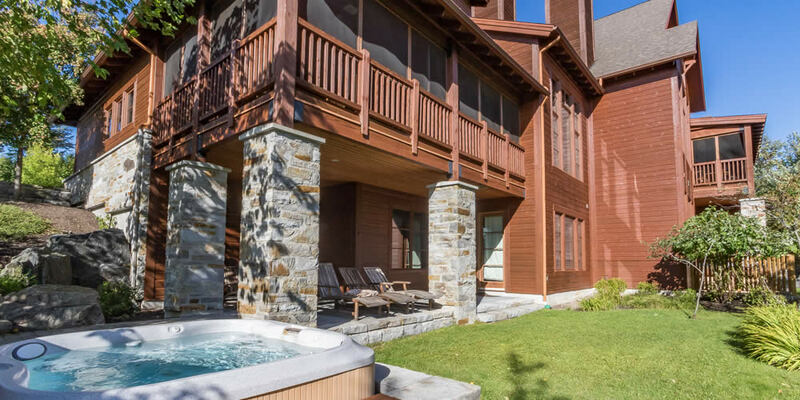 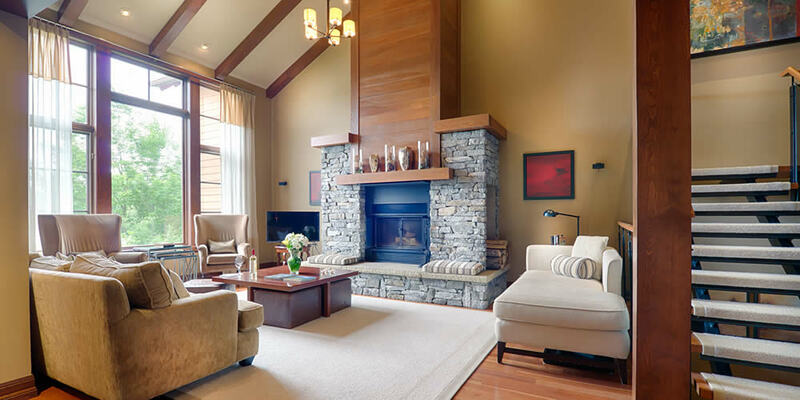 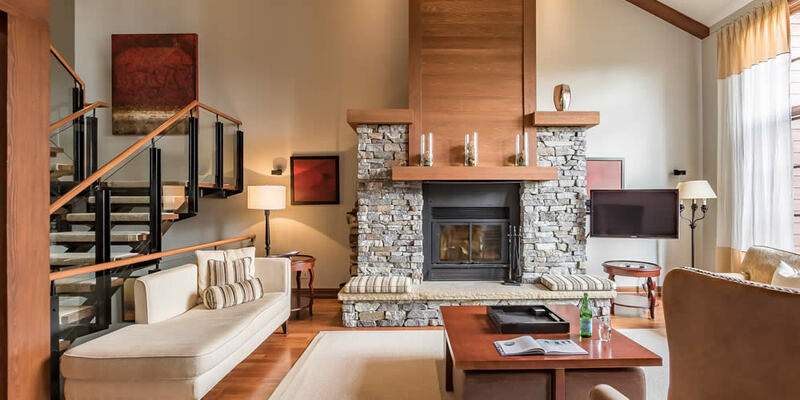 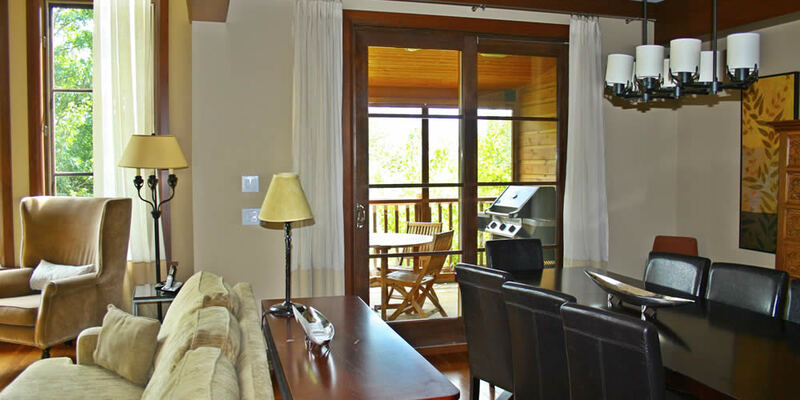 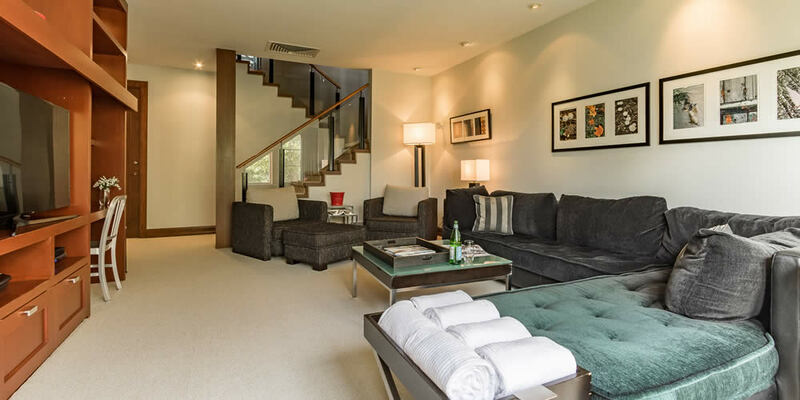 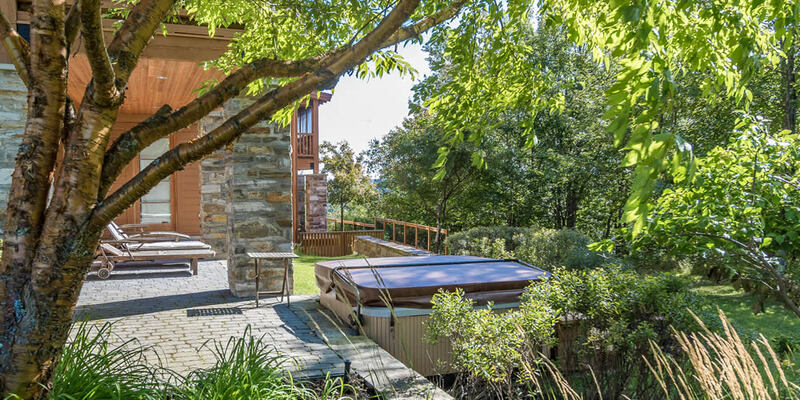 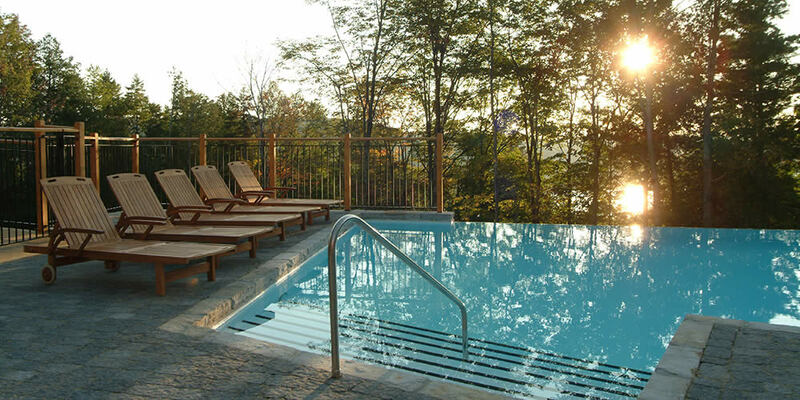 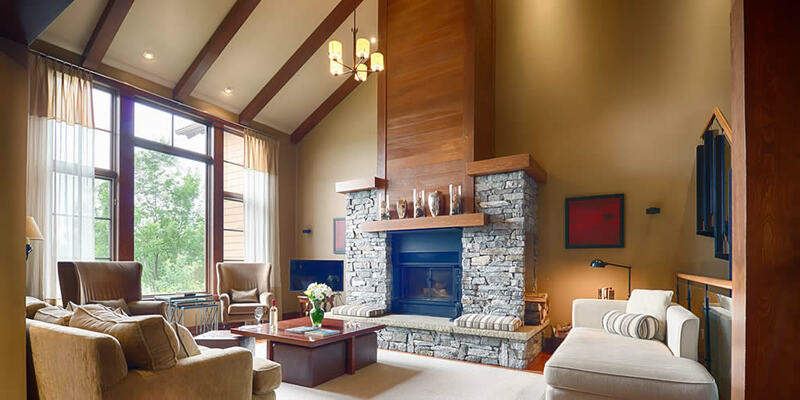 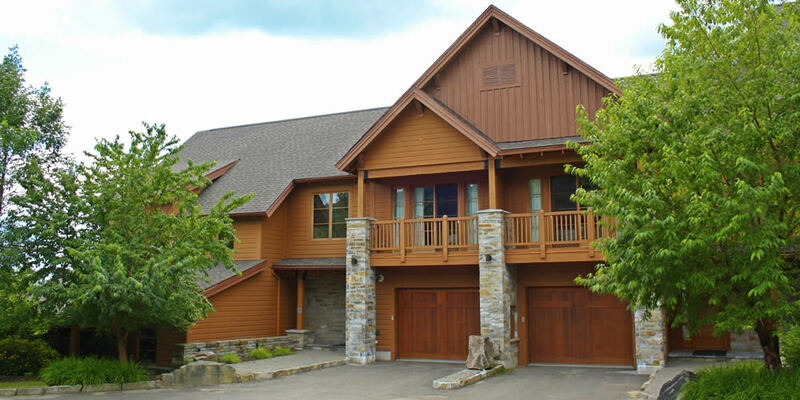 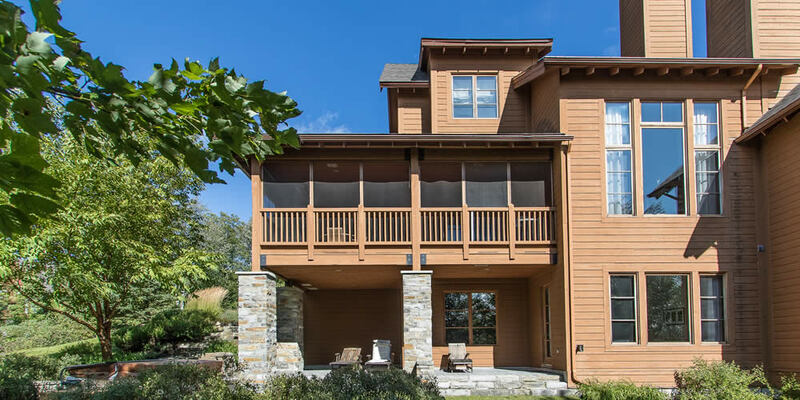 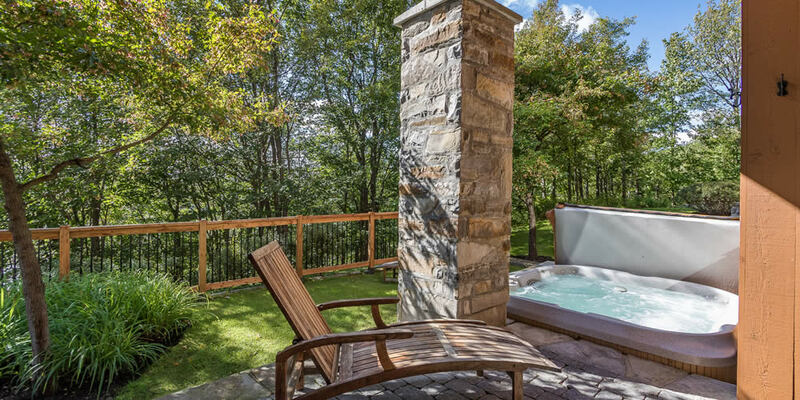 You will love the Bose Life Style music system throughout the whole home, Miele appliances in the kitchen, including the Espresso Coffee machine to better wake up to all Mont Tremblant has to offer, the wood fireplace, the private spa on your patio and the infinity pool in summer. 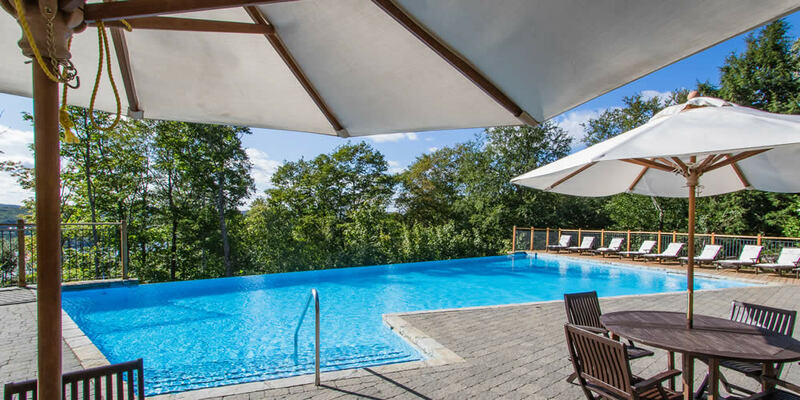 Elysium @ Légendes offers the unique ambiance of a private club, where you will spend memorable moments with family and friends. 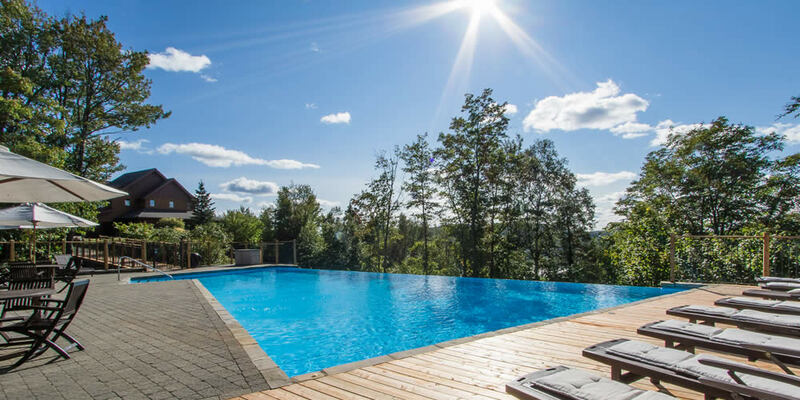 This year, come create your own legendary vacation with Elysium @ Légendes!